Why do people blog? Through blogging, people can express their thoughts and ideas. WordPress serves as the bridge that links bloggers to other Internet users. Thousands of fervent bloggers from all over the world flock around WordPress. And since WordPress is an open-source platform, the community has created tons of useful plugins that allow bloggers to do almost anything you can imagine. There are many plugins available for download, each having a unique assignment yet they all have one common goal: to make your blog interesting so that you will receive more clicks. Beginners and even expert bloggers all want to include plugins in their WordPress blogs. If you are not sure what plugins suit you, here are the top 15 most popular ones that you might want to consider adding to better enhance your blog account. Please note that I do not provide support for my themes pertaining to the plugin issues. 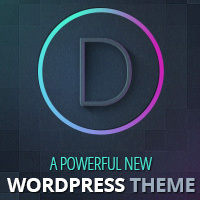 However, due to the strict coding standard that I always adhere to, my themes should work well with most of the popular plugins. All in One SEO Pack – This great tool optimizes your blog including the titles and the META tags so that search engines will find your site easily. This plugin also helps you avoid duplicate content found in blogs. With this pack, you can easily modify and tweak everything. NexGen Gallery – This is an image gallery plugin, which provides uncomplicated administration for those who have multiple albums and galleries. This allows you to add custom themes, new short codes, set your own collection of photos and use them in the Flash slideshow selection. WordPress.com Stats – With this tool, the statistics about your visitors are provided. Just input your API key and let this plugin do the work. WP Super Cache – This plugin produces static html files from your WordPress blog. Google XML Sitemaps – This tool is generally helpful especially when you have updated your blog, your sitemap will be edited and the search engines will be informed about the change. Akismet – It will check automatically your comments against the Akismet web service to see if they are spam or not. WP-DB-Backup – This will allows you easily backup your main WordPress database tables. FlickrRSS for WordPress – This plugin will let you display Flickr photos on the weblog. It will also support set, user, group, favorite and community photo streams, plus it is easy to configure and setup. WP PageNavi – This plugin will add more advanced navigation for you WordPress blog. WordPress Post Ratings – A wonderful tool where you can be able to see or post ratings on your WordPress blog. Twittle tools – This is a plugin that will create a complete addition between your WordPress blog and the Twitter account. WP Polls – A plugin to insert your polls by customizing via templates and CSS styles and there are lots of other options to ensure your polls look the way you want it. Simple Tags – Simple yet a wonderful plugin to your blog where you can customize your admin features. I’m only just starting out with WordPress and am keen to sort out the SEO of my site. The all in one SEO pack appears to be recommended by everyone, so that will be my first plugin. Akismet gets a great press so that is a must as is Contact form 7. WP-DB-Backup is mentioned a lot but is it compatible with 2.8.4? I’ll look through the rest of your list with eager eyes. WordPress is great but it’s too easy to hack into. I’m very new to WordPress, but am impressed by the plugins. However, not to sound arrogant, but I’m quite suprised to see that the CMS I’ve created already contains a few of these features either as standard or as a plugin. An online demo and a free, downloadable version will be available very soon and can be seen at http://scottjarvis.com. I’d be interested to know how it compares. Cheers, these will come in handy at some stage I’m sure. Hi, I found another cool flash photo galleries plugin for WordPress. Named GRAND Flash Album Gallery – multi category flash skin based photo gallery with powerful admin. I used it in my blog. There are so many different settings. You can adjust the color scheme for your blog as you wish. There are many different skins. You can present your photo gallery in a wonderful way, there is a full-screen mode. This is a very cool plugin. Your blog is amazing, i first landed to another post but then get interested and thought, i will just look a little more arround to see what else i can find out about best plugins arround. I think that you might also find helpful the ‘AllWebMenus WordPress Menus Addin/Plugin’. With this tool you will be able to create cool web menus for your blog/site and give it a great look as well as offer your visitors a well presented navigation. That’s a great list! I was looking over your list and did a bit of searching online. I definitely think the WizardRSS Plugin (http://www.wizardrss.com/autoposters/wordpress.php) should be listed as well. WizardRSS makes autoblogging a snap by automatically creating posts from the RSS/Atom feeds you choose, which are organized into campaigns. With their unique plugin, no matter what RSS/Atom feed you enter into the plugin, we will get the full feed for you. There is no need to worry about manually creating full RSS feeds at WizardRSS.com – the plugin does it for you! Why would you want to use another WordPress RSS autoposter when you could use theirs and get the full feeds from any website on the Internet? And what makes their plugin even better: It’s 100% free! This indeed is a very good list of WordPress Plugins. I install most of these in all of my WordPress blogs! LiveGrounds is a plugin for WordPress blogs, where the blogger and the blog’s visitors can interact live via a graphical user interface. For the blogger, LiveGrounds is an easily moderated community based on the blog. For the visitor, LiveGrounds allows for instant communication with other people, without having to log in or download any program. Let me/us know if you have any questions or comments! thanks a lot , excellent work, i want plug ins ,used to show my category posts,when some one click on category ,it will show the contents (posts). help me …..thanks again. Im glad to see that 3 of the wordpress plugins I use on my own blog is listed among the ones on your list. A tip for for everyone with a WP blog, dont install plugins that arent listed on the wordpress.org website. Many blogs gets hacked at the moment. Not wanting to spam your blog..
but we have recently developed two plug ins for wordpress. And this one allows you to display our news headlines from one of our sections..
Because of the data charges and bandwidth we do ask for links to stay intact, but they are not too obtrusive!.. because of this we are not able to add it into wordpress official download area, but if we get enough people using them we may develop a version with this on. A more robust solution is to wrap each frame in a div and target the div’s instead of the images (or anchors). This would allow you to add text, multiple images, etc. thanks for this great list …. specially loved contact form plugin …. was looking for something like this .. I found one nice wordpress gallery plugin I am using that on various websites and it works perfect.